A few months back, we wrote about Aled Jones' enduring and, to some, unexpected success in both music and the broadcast media. It seems that despite talking up the man's many talents, even we underestimated him. Since then, it has been announced that Jones will be taking over the Daybreak warm-seat from Adrian Chiles, hoping to boost the show after the Brummie was moved along. As a result, Aled Jones' schedule will be ruined by his Daybreak commitments and his tour has been bumped back. He is quoted as saying: "I'm very sorry for the inconvenience that this has caused to all those who have already bought tickets and made arrangements to attend the October concerts." 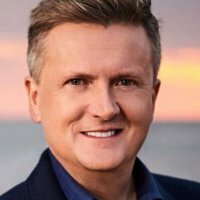 Little Aled Jones, as he once was, has been around for ages (and ages) and yet, somehow, is still only 41. The main reason for this of course is that, although he's known to 21st century audiences as a radio and television presenter, he was the original Gifted Child. In 1982, with Channel 4 itself in its infancy, Raymond Brigg's The Snowman was commissioned for the new network with Walking in the Air as its soundtrack. St Paul's Cathedral choirboy Peter Auty sang on the film but Aled Jones performed the single version. He then popped up on television, in a variety of encouraging jumpers, for the next few years, mostly at Christmas time. In the next five years or so, he released around 15 albums and enjoyed a lot of success. Hilarious people everywhere joked about what would happen when his voice broke, inadvertently wishing his career away. But Jones had other plans. Album sales of around six million meant that he didn't need to do any shifts at Asda and he went on to study at the Royal Academy of Music, eventually surfacing again in the new century. With guest choirs, Aled's tour now begins at Durham Cathedral on 6th April 2013 with all dates except Manchester and Sheffield already rescheduled, and a brand new date at Salisbury Cathedral on 20th April. Full refunds are available directly from the ticket vendor. We have tickets for the new dates available now, priced around £30.